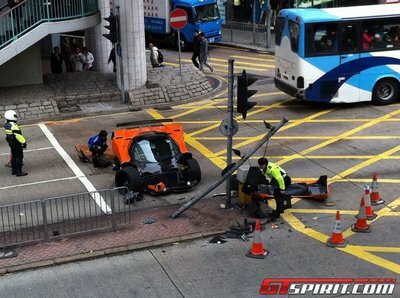 As GT Spirit reports, a Pagani Zonda F has been destroyed this morning in Hong Kong. This is the second Pagani Zonda being destroyed in Hong Kong, as far as we know. Fortunately the driver walked away, uninjured from the wreckage. 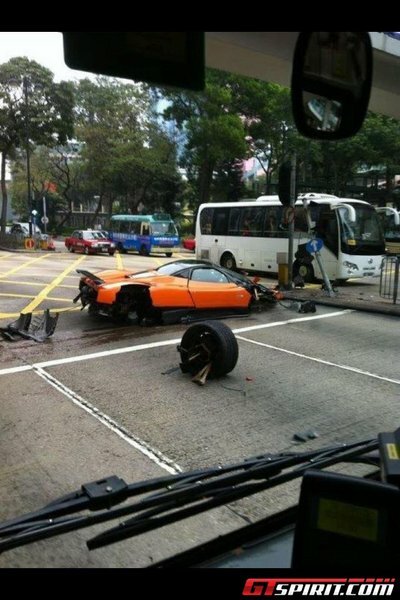 The accident took place near Ramada Hotel, Kowloon, Hong Kong. 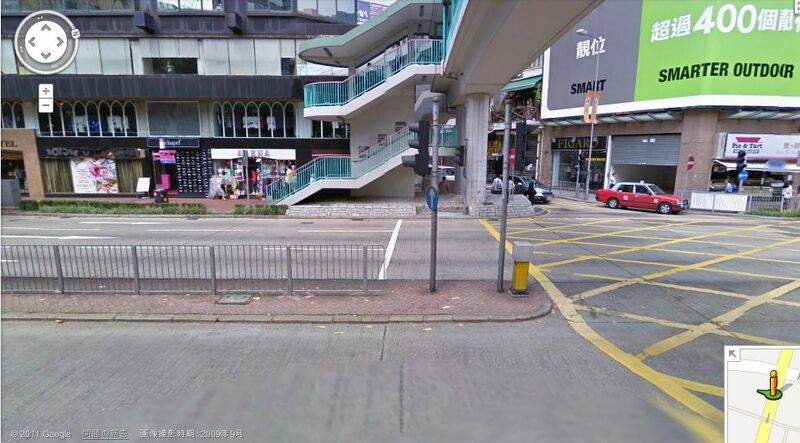 Look for “Ramada Hotel Kowloon” on Google Map and search for a pedestrian bridge. You will be able to see the exact location where the accident took place. As for the YouTube video, this is how Zonda F looked when it was in perfect shape. Although we don’t understand Cantonese, it seems that the owner of the car was shopping at D&G and was eating noodles afterward. Illegal parking of a supercar gathered many crowd.